My goal in taking care of patients is to provde the most up to date cutting edge techniques while still offering the pt enought time to discuss and navgate through the sometimes complex issues involved with possible Surgery. I believe that an informed patient is vital, and thiscan take time with there surgeon. As Chief of Minimally Invasive surgery I have had the opportunity to lecture and operate around the world and although the place may change the connection to my patients remain the the same. I have been performing Bariatric surgery for over 10 years and am very proud of our status as Center of Excellence. I am currently Chairman of th Pt Safety committee of the New York State chapter of the ASMBS and am constantly involved with Pt safety issues involving Bariatric patients. I take great peasure in educating my Patients and providing them the service they deserve. "Dr. Gellman and his staff have been very helpful to me throughout the process leading up to my surgery. Dr. Gellman was very supportive and confident that the surgery was in my best interest and I am very happy with the results. I can not thank Dr. Gellman enough. " "Dr. Gellman was most kind & very understanding. He visited me in hospital on his day off!" "MD acts like he doesn't have the time to listen, he's in the room with the door half open ppl come in 2 minutes into me talking and tell him someone's waiting.. he cuts the conversation very short and it's like I'm not done, I still have concerns I still have questions." "Dr Gellman is a wonderful physician and surgeon. 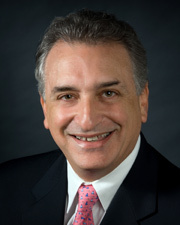 He's a friendly and compassionate person"
"dr. Gellman is truly one of a kind. he changed my life"
"I have already recommended this doctor to a friend." "I hadn't been to Dr. Gellman's practice in about 10 yrs, but nothing changed. I came back to Dr. Gellman for guidance that I could trust and that's exactly what I got, it's was much appreciated." "Dr. Gellman was attentive information and honest about "not having all the answers." Easy going, friendly, manner. " "Dr. Gellman is an excellent doctor and a pleasure to go see. I would recommend this practice to anyone." "Love Dr. Gellman! By far most are all the greatest drs!" "I wont change Dr.G and I have recommended him already!" "As a specialist the dr. was recommended by me to 2 of my friends." "Dr. Gellman and the staff were awesome." "Dr. Gellman was very attentive and explained everything thoroughly." "Dr. Gellman was awesome. Great bedside manners and great to talk to." "Dr. Gellman, was very patient with my questions & concerns. Spoke to him at a LATER date, again, he did trust my concerns, & guided me in the right way, made me feel comfortable, & trusting. Did not rush me for answers..."
"Gellman is excellent. Love him. Very good bedside manner. " "Dr Gellman took his time and explained everything to me. I left with no question that I was doing the corrcet procedure." "dr Fellman is a wonderful ohysician"
"I like the way Dr. Gellman explained what was wrong and how to proceed." "Dr. Gellman is first rate in all respects." "Only have the best to say about Dr. Gelman. Very knowledgeable and answered all my questions,making me feel confident." "I would recommend the team to everyone." "I have already referred some to him"
"Dr. Gellman is well-informed and caring, and takes his time with you." "Dr. Gellman is an excellent surgeon and a caring Doctor. My recovery from the adrenalectomy was amazing! I recommend him with confidence to everyone." "Dr. Gellman is a wonderful and caring physician. My husband had surgery with him too and we both love Dr. Gellman." "I was operated on by Dr. Gellman, I think that we have to improve every day, but I can't ask you for improvement in anything I am very pleased in everything." "I have recommended this office several times." "The whole time my provider listened & answered all my questions, even gave me pointers - Very understandable, and the patients was very good." "Doctor Gellman is extraordinary & a great doctor." "I feel very comfortable with Dr. Gelman." "I trust Dr Gellman completely. He always takes the time to listen and explain answers." "No rushing calm caring. A gift from God may he carry it over always. #5. No meds." "I was highly impressed with the time Dr. Gellman spent. I never felt rushed and I felt he was listening & addressing my concerns -"